Our ever-evolving long term resolution is to help people save money and provide a quality service. Hence, we gathered up some numbers, gave into our love of lists and decided to share with you last years’ biggest achievements. Check out Tello’s 2018 in review! 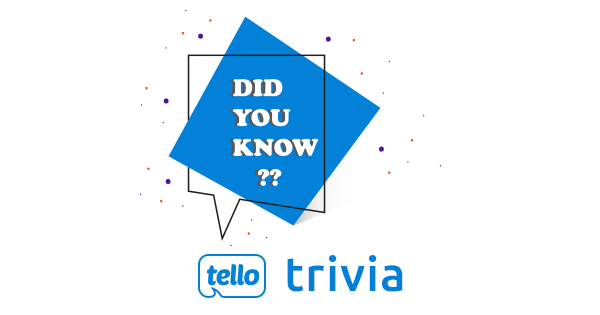 Tello Trivia Results: How Well do you know Tello? We ran a Tello Trivia to see how well our customers know our company. The results are in and as always, our clients prove to be as awesome as we remembered. We had lots of fun reading the answers and that is why we’re sharing them and revealing the truth behind the scenes. Until next year, we leave you with our promise to constantly improve our services, make the most out of your lovely suggestions and take them on to the drawing board in order to see some of them live as soon as possible. Yes, you heard it right! Work, work, work, work – is not just for Rihanna, you know? And yes, Tello is about to turn 1! We are celebrating one year since our launch, and boy do we have some awesome goodies planned for you! Whether they are tales from a time long long ago when phone batteries were the unsung heroes of day and not just a delicate thing you desperately check after every 4 hours, or simply funny situations related to our friends, family, and pure luck from the Phone Gods, we all have one or two stories to share on this topic.